Dr. David Zweiback practices internal medicine, or the prevention, diagnosis, and treatment of common and complex diseases in adults. With a special focus in cardiology, Dr. Zweiback has been helping patients heal from illness and achieve optimal health for over 20 years. He devotes particular attention to patient experience and provides treatment in a warm and welcoming atmosphere at his Philadelphia, PA, office. Internists provide comprehensive care and diagnoses for a wide range of symptoms and conditions but specialize in managing those that affect multiple systems within your body. These specialists are often able to help patients suffering from chest pain, shortness of breath, and other complaints with unclear causes. Dr. Zweiback's training is rooted in a broad base of disciplines, including primary care. He can offer patients treatment for both common conditions associated with the heart, ears, nervous system, and other concerns affecting general wellness. While most primary physicians practice in hospitals, Dr. Zweiback values patient comfort and designed his own office to feel more like a spa than a medical office. His training also allows him to provide cosmetic dermatology services that supplement your overall health with an aesthetic outcome. One of the most common types of heart disease, this condition is the result of blood vessels in the heart clogged by fatty deposits. These blockages often trigger a constriction of the coronary arteries, leading to compromised blood flow to the heart. If left untreated, this can eventually cause a heart attack. Often caused by restricted blood flow, high blood pressure makes it more difficult for the heart to pump blood through the body and can weaken the organ over time. While not a disease in its own right, high blood pressure can lead to and often accompanies a number of cardiovascular conditions, including stroke, heart failure, and coronary heart disease. Pericarditis is the common term for inflammation of the thin membrane surrounding the heart. Caused by infection or blocked blood vessels, the disease's most common symptom is a sharp, intense chest pain that extends to the left shoulder and neck. In most cases, the pain does not last long and may go away on its own, but some patients will need medication. 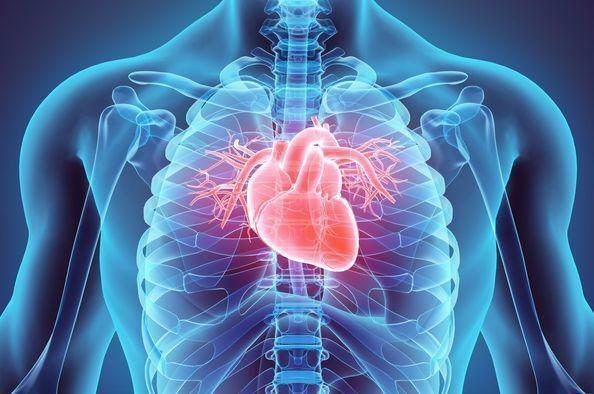 There are four valves in the heart responsible for blood flow: the aortic, mitral, tricuspid, and pulmonary. If these valves are compromised by heart conditions, age, and rheumatic fever, it can lead to weakened or unsteady blood flow. Dr. Zweiback has the education and experience necessary to provide a lifetime of both general and cosmetic care in a comfortable environment. Choose a doctor that has proven he can enhance and help you maintain optimal health and wellbeing. Contact our office to schedule an appointment.